Philip Norton, The Voice of the Backbenchers – The 1922 Committee: the first 90 years, 1923-2013 (London: Conservative History Group, 2013), 86 pp. 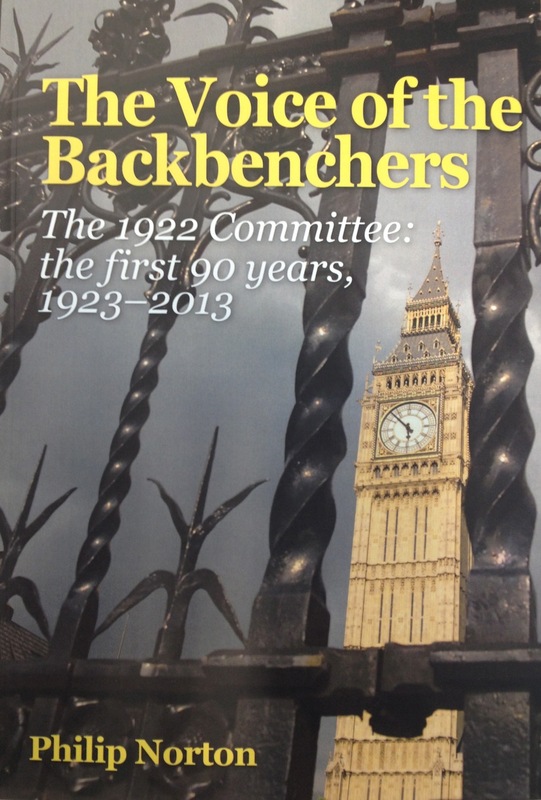 For 90 years, the 1922 Committee has been the voice of Conservative backbenchers in the House of Commons. In this fine study to mark that anniversary, Lord Norton of Louth (Professor of Government at the University of Hull) shows how the Committee’s varied functions – which include acting as a ‘self-help group’, a ‘safety valve’ and a ‘sounding board’, as well contributing to the Party’s policy-making and picking and removing its leaders – have made it a vital cog in the Conservative machine. 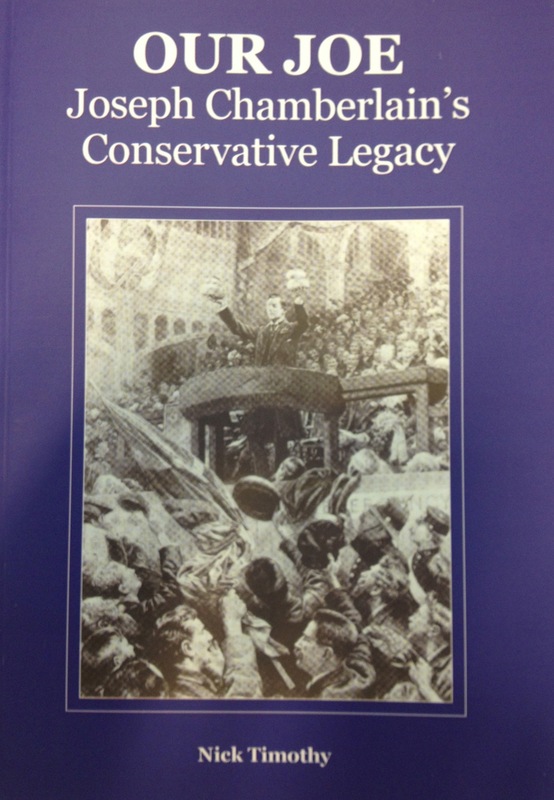 Nick Timothy, Our Joe: Joseph Chamberlain’s Conservative Legacy (London: Conservative History Group, 2012), 66 pp. Joseph Chamberlain was one of the dominant figures of Victorian and Edwardian Britain – but while he is remembered for his record as Mayor of Birmingham, his role in committing the Conservative Party to social reform has been neglected by modern Tories. In this study, Nick Timothy explores the many roles Chamberlain played during his political life – Radical and Unionist; outsider and Cabinet Minister – and argues that his legacy is every bit as important to modern Conservatism as Disraeli’s ‘One Nation’ approach and Randolph Churchill’s Tory Democracy. T.G. Otte, Black Michael: Sir Michael Hicks Beach and the Problems of Late Victorian Conservatism (London: Politico’s, 2007), 24 pp. Sir Michael Hicks Beach, first Viscount (later Earl) St. Aldwyn, belongs to that category of Victorian and Edwardian politicians who have largely faded out of public memory. That his name should have only little resonance for even the historically informed public is surprising. Beach spent almost seven years at the head of the Treasury (beaten only by Gordon Brown and David Lloyd George). He was a formidable politician of national standing, who helped to shape late-Victorian Conservative politics, but whose career also reflected some of Conservatism’s inner tensions in this period. (Windsor: Wilton 65, 2006), 104 pp. When the Suez conflict erupted in 1956, the future Conservative MP Sir Philip Goodhart – then a journalist with the Sunday Times – hitchhiked to Port Saïd with some of his former Parachute Regiment colleagues. It was, he says, ‘a journalistic fiasco’: his reports never reached the newspaper, but the fact that he had been involved in the Suez campaign helped him to win the Conservative Party nomination for the safe Conservative seat of Beckenham the following year – beating a young Margaret Thatcher. In this study of the Suez fiasco he sets out what happened briskly but with precision.